In 1987, around this time of year, Spring, I was working my first job in Los Angeles, a recent transplant from New York City. My pal, Gregory and I had travelled in my mighty Mustang across this vast country, full of mixed emotions, and the anxieties of moving to a place thousands of miles away from what’s familiar, what you’re accustomed to. That same spring, I came home from slinging burgers at Hampton’s to find out that my childhood buddy, James, was murdered. He’d been studying at the University of Tokyo, and left to sightsee in Bangkok, before he planned to meet me in Los Angeles. I was anticipating his arrival any day. I still do. 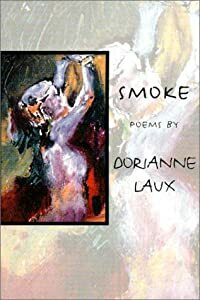 The first time I heard the extra-ordinary poet Dorianne Laux read “Trying to Raise the Dead” was at Truth & Beauty Conference in Carter Hall, Virginia. There wasn’t a dry eye after she’d finished her last line, this poem is that raw, phenomenal. (I thought of you, James, like the endless times I do. And I thought about loss). Did you lose someone you love? How do you keep in contact? Can you feel his or her presence like as I do James? This entry was posted in National Poetry Month videos on April 14, 2013 by Robert Vaughan. I miss James too. I also miss my Grandfather, grandmothers and Tante like crazy. I feel they are around me all the time and sometimes they come too me in my dreams. Just seeing them again and sometimes talking to them is a great kind of solace for me. Where are you? I so LOVED this, Robert! It’s heartbreaking and beautiful! Thank you for reading this! I’m enjoying the daily poetry readings and the exceptional poetry you choose each day!